Owners of PSP and PS3 will be glad to find that Square Enix and Sony has finally came to their senses and uploaded their big money maker title onto the PlayStation Network. Lord knows why they didn't do it sooner, but that isn't the point. If you have never played Final Fantasy VII, then you should, even if it isn't the greatest RPG ever (IMO). For £7.99/€9.99/US$9.99 (honestly, I was expecting £12 at least) who cares, as it is still a pretty darn good value considering the amount of gameplay in it. So if you are feeling nostalgic and do not own the original PS1 game, or has yet to start your Final Fantasy adventure, then head off to the PlayStation Store and download it. 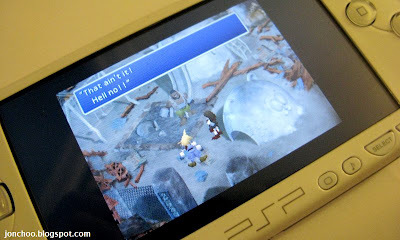 Now Square-Enix, when will we see Final Fantasy IX and Xenogears on PSN?